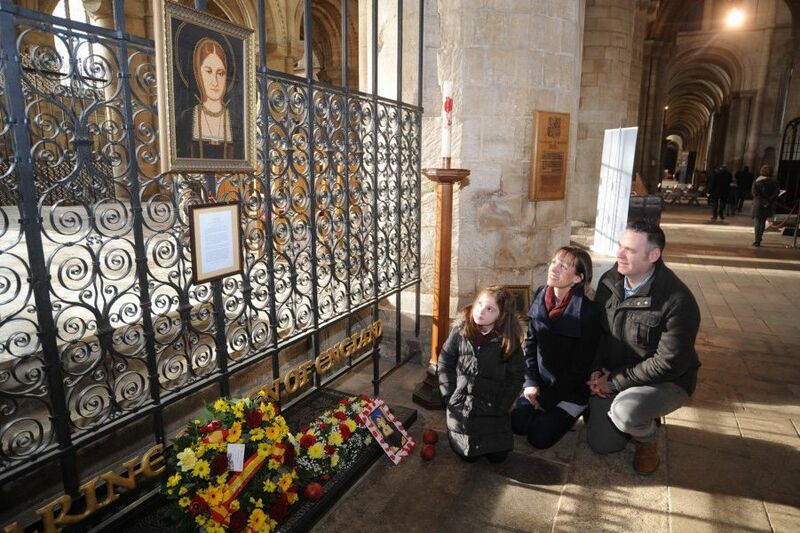 Peterborough remembered its royal past with a spectacular festival in memory of Katharine of Aragon. Henry VIII’s first wife is was buried at Peterborough Cathedral on January 29 1536, and every year a festival is held in her honour. This year’s festival started on Friday morning, when dignitaries and school children took part in a special service, which ended in wreaths being laid at her grave side. Throughout the weekend there were a series of Tudor themed walks around the city, led by ‘Old Scarlett’ - the grave digger who buried Katharine and Mary Queen of Scots. There were also a series of activities taking place at Peterborough Museum, where families could find out what it was like to live in Tudor times. On Saturday evening guests at Peterborough Cathedral were able to enjoy a ‘Merrie Tudor Evening’ - where a large feast was served, with medieval style music and dancing. There was also a packed John Clare Theatre on Saturday evening to hear a talk by author Tracy Borman, who discussed her latest book ‘Henry VIII and the men who made him.’ The best selling author signed books at the end of the evening, and answered questions.